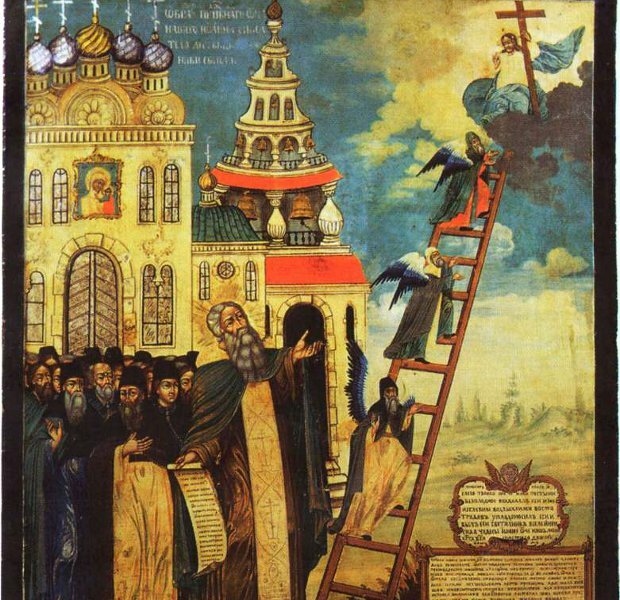 4th Sunday of the Fast In this Fourth Sunday of Lent, our holy Church remembers St. John Climacus (of the Ladder), the author of The Ladder of Divine Ascent. She presents to us this example of monasticism and asceticism. For this reason the Church reads the Gospel periscope that emphasizes the importance and uniqueness of fasting and prayer in the life of the Christian faithful. 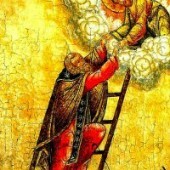 In the First and Second Sunday of Lent the Church remembered doctrinal events: the Victory of Orthodoxy, or the true faith, and St. Gregory Palamas, or the vision of God. In the Third Sunday, we remember the Cross as a tool to live the true faith and to incarnate the vision of God. This week, and the following week, we have before us two lively examples of prayer, fasting and true repentance. 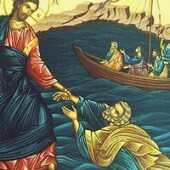 The two examples are the two Saints John of the Ladder and Mary of Egypt. It may seem to some that prayer and fasting are monastic arts, and is not for everyone to practice. The Church however emphasizes that these arts are for all Christians. 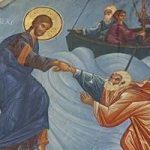 Even though the monastic communities practice these two virtues in a certain fashion, the Christian ought not to rid himself of these two weapons or abandon their grace. The Gospel message is clear, emphasizing that our war is “Against the rulers of the darkness of this world, against spiritual wickedness in high places” as St. Paul says (Eph 6:12). This war cannot reach a victorious end except by prayer and fasting. 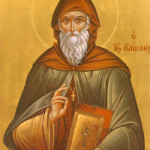 That’s why if the Christian- who is not living in the monastic setting- is not able to follow some monastic practices, he ought to devise suitable methods to continue his spiritual struggle with fervor. Therefore he needs to understand the deep and relevant meaning of prayer and fasting in order to skillfully practice these two arts, even if he did that in different ways. 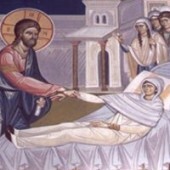 The link between prayer and fasting highlighted in the Gospel and their coupling is based on the structure of the human being who is both body and soul. For man practices his worship of God with all his being. 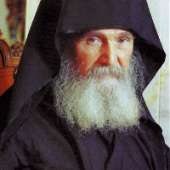 The two supporting pillars of the spiritual life are prayer and fasting. For prayer is the fasting of the mind, as fasting is the prayer of the body. 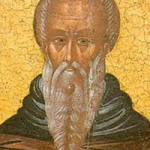 Prayer, as defined by Saint John Climacus, is the “friendship with God,” that is the setting of the mind on the meditation of God and the love of His divine Word. Thus the enemies of prayer are the ideas that perturbs the serenity and continuity of prayer. The numerous thoughts and the imagination are delicious food, even if they deceive the human mind. The true prayerful person suffers and struggles inside of him to fight and expel thoughts and ideas, trying to stay focussed on prayer. Truncating our thoughts is harder than amputating our members. 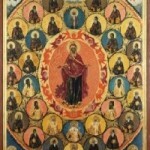 Here, the faithful practices the fasting of ideas when he realizes that his mind does not live except on the heavenly bread, that is the divine thoughts. He then begins to discard every earthly thought, selecting for his mind the good “fasting” thoughts and living on them. So the discipline of prayer leads us to weaken our physical thoughts and to free our prayer. Also, fasting is the prayer of the body. As St. Gregory Palamas noted, the Scripture tells us about the crying to God of the blood of the murdered Abel (“The voice of thy brother’s blood crieth unto me from the ground,” Gen. 4:10). The fasting and tired members of our body fervently cry with our spirit to God. It is possible for man to pray to God through his bodily members. Through fasting, man puts his body and all his members in a state of continuous prayer. During fasting, man selects the food that is good for him, the food which is not based on a physical (carnal) mind, but on the mind of a man who lives by the word coming out of the mouth of God. In fasting, man defines his life as based not on himself but on God. He opens the way for him self to know his talents, needs and purpose. Through the body we seek after the Spirit, after Christ who is the true food and the living water. Also, prayer is a way to cut off or fast from thoughts. Through fasting we set the mind to thirst for the Divine Word, avoiding other words, for the Lord is the living and reviving nourishment for the human mind. The man who fortifies his mind by prayer and his body by fasting is like the house in whom the devils are expelled, and is clean. He becomes the house of God and the temple of the Spirit. 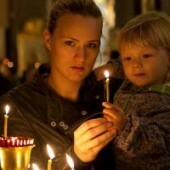 Our struggle to reach Pascha, to reach the vision of God, to his dwelling in us, must be based on these two virtues. For prayer is the fasting of the mind, as fasting is the prayer of the body. Amen. The techniques of spiritual warfare, and of the spiritual life.